The Lord longs to be gracious to you; therefore he will rise up to show you compassion. For the Lord is a God of justice. Blessed are all who wait for him!.......How gracious he will be when you cry for help! As soon as he hears, he will answer you. Oh friend. I hesitate to write this to you today. My heart is heavy. Sorrow and loss. It’s here that we experience His love more intimately, His peace more fully. But it’s also here that our hearts cry out, “Lord, what are you doing?” Let’s not pretend it isn’t so. Infertility. A strained marriage. Hurting kids. Financial stress. The unexpected death of a parent. An alcoholic parent. A broken relationship. All things I know my dear friends are struggling with. It’s the sorrow deep within. Behind each one of their beautiful smiles is an ache - a void and a longing we know only Christ can fill. I think hardship makes us more sensitive to the pain of others. It’s not a “misery loves company” kind of sensitivity. Hardship just heightens our awareness that life isn’t as it should be, as we’d have it be, for us or for the ones we love. Sorrow and loss. It is, in some big or small way, part of each of our lives. For some, it’s “one day at a time.” For others, the pain is so deep, it’s simply “one hour at a time.” One moment after the next, through the fog, until we reach the other side. I will be your God throughout your lifetime - until your hair is white with age. This kind of sorrow moves us from knowing God goes with us to knowing God carries us. That has been my experience in this time of losing our home to Sandy and having such uncertainty about the future. I have been carried. Had I not, I don’t know where I’d be. Somewhere feeling bad for myself and looking down. Somewhere other than here, in this place of choosing to trust. But the trust doesn't always come naturally. Trusting in times of sorrow is not easy for us, and as our son Cal just reminded me, it’s not easy for our kids. We’d just stopped by our house - the one that is about to be torn down from the damage of the flood- to pick up our mail. I didn’t realize the emotions it would stir in Cal. Just seeing what was, or better said, what no longer is, drove him to deep sobbing. How I want to give my boys their home back. How I long to help them feel certain in this time of uncertainty. But I can’t. And I can’t promise him the next house will be even better than the one we had before because I don’t know if that’s true. I can’t promise him a lot of things about our future because it all seems so uncertain right now. But what I can give him are the same promises I offer my friends who are suffering from infertility, financial stress, and a strained marriage. I can offer him the same promises I share with my friend whose father just passed away and my friend whose child is hurting. I can assure him with the same promises that assure me. The gospel- the good news of God’s grace. As I was holding Cal in the back seat, God brought to memory the beautiful wisdom I’d recently read in a blog by my dear friend, Kimm Crandall. The title of the blog is “Helping Them When It Hurts” and here is a little peak into my friend’s gospel- loving heart and the promises she shares with her kids to help them when it hurts. 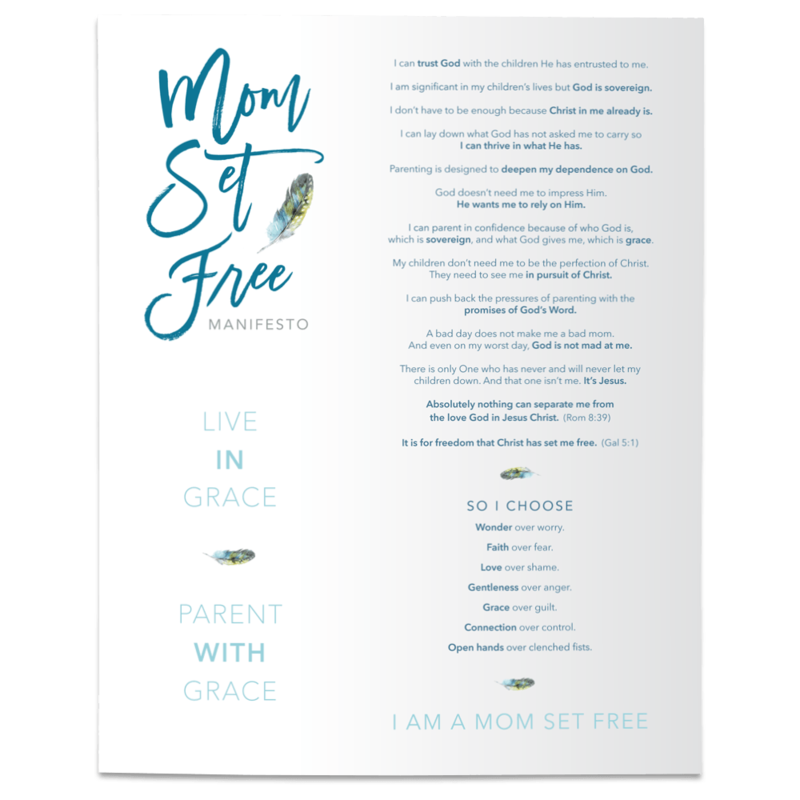 Oh how I hold onto these promises and I give thanks that I can give these promises to my boys as we face change, loss, letting-go, and uncertainty. These promises are the rainbow in the ruin. They are the truths we must hold onto, the truths that allow us to see Him more clearly and feel His presence more fully. This is how I know He loves me. So while I don’t understand what is going on around me, and I don’t have any deep and profound answers for my oldest son who misses home, I do know Jesus loves us and He is present in our sorrow. I know His promises are true, and I have to hold onto that. And when I can no longer hold on, praise God that He never lets go. My hand may slip, my faith will waiver, my trust will falter, but He is steady, He is constant, He is strong, and He will never, not ever, let me go. This Thanksgiving I will be giving thanks, not just for the gifts, but for the giver of the gifts. For His sacrifice. For His choosing to be my perfect sacrifice. There are definitely gifts to be thankful for- too many to count, in fact. The love, the kindness, the acts of mercy, the generosity too wild to fathom-it all continues to pour in. These are gifts from God and they often leave me speechless. Thanksgiving can be a time of great cheer and celebration, but for many, it can also be a time of great sadness and mourning. No matter where you fall in that spectrum let us remember to look up, to the one who gave it all, so that we might be able to give thanks, not just for the gifts, but all glory to God, for the giver of the gifts who loves us with an everlasting love. Let us praise Him for He is good. Let us give thanks for WHO HE IS and how He loves us - extravagantly and unconditionally - even when it may not seem so. I chose to trust and give thanks. I pray you have a blessed Thanksgiving, one in which- no matter what you are going through- you are overcome by His extravagant grace and His wild love for you.